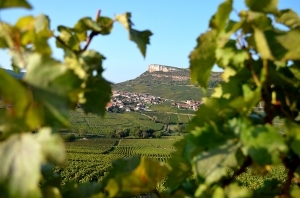 The domain Thierry Drouin is located at the heart of the iconic site of Pouilly-­Fuissé, exactly between the two rocks of Vergisson and Solutré, in the south of Burgundy. The estate vinifies and ages in oak barrels three appellations: Pouilly­-Fuissé, Saint-­Véran and Mâcon “Grands Vins de Bourgogne”. Charles joined his father at the domain in 2012 after completing his studies. The domain offers a wide range of parcels and ‘’climats’’, where the grape variety “Chardonnay” expresses itself at its best. The clayey and limestoney soils give rich and various wines. 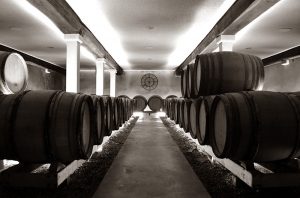 A meticulous work is carried out in the vineyards and in the cellar. The domaine Thierry Drouin shapes the soil and the grapes to bring out the best of each terroir specificities. Thanks to the “savoir-­faire” and experience developed over years of work, Charles and Thierry sign authentic and delicious wines for your pleasure.